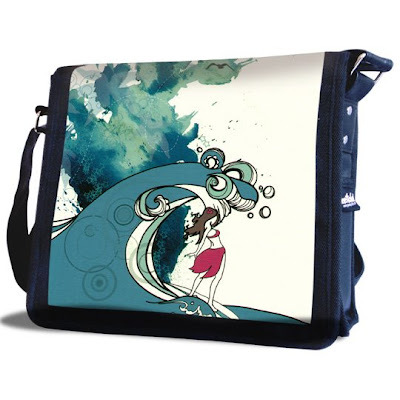 The Sketchel project has been going on for a few years now and they offer a wide array of customized art shoulder bags. 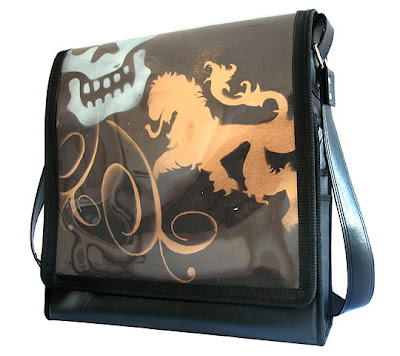 These Sketchels features an original design incorporated within the bag by some of the most talented artists. Vicky Newman was lucky enough to be included as one of the 'Sketchels 2' artists asked to create a one-off a kind panel that could be then incorporated into a record bag. Here is the huge gallery, simply click on the alphabet to view around 500 original Sketchels.